Now that’s a fast ROI! To get a real sense of the true value of a high-performance, reliable and certainty-based room-level RTLS you need to hear about this story at Mission Hospital in Mission Viejo, CA. Any technology, no matter how effective, is only as good as the users who apply it. A long-time partner of CenTrak, VIXIA North America, not only deploys CenTrak’s industry leading RTLS system but they also provide hospitals with on-site staff to ensure the technology is used effectively. At Mission Hospital, VIXIA manages the Equipment Distribution process moving equipment from a central storage area to Clean Storage locations around the hospital, then picking up and cleaning the equipment after patient use. The VIXIA person in charge of the hospital’s second shift (Matt) needed to do a bed rentals round since VIXIA not only improves utilization of the hospitals owned equipment fleet but also ensures the hospital rents less equipment. “After the round, he noticed that a Wound Vac was not located in the room where it was supposed to be located. He found this out by using VixPort, their company’s information portal that presents location data from the CenTrak RTLS. The system showed that the Wound Vac was inside the soiled room. Although he checked there and could not find the unit, Matt was confident of VixPort’s accuracy given that it utilizes CenTrak certainty-based room level technology. After searching the area again, he determined that the Wound Vac could be inside the Biohazard bin, so rather than check inside it, he took the bin outside of the room to see if the CenTrak RTLS would capture its location in the hallway. He checked VixPort, and sure enough, it immediately showed that it was in the hallway (inside the bin!! )” as indicated in an email sent to the Mission Hospital’s Supply Management team. The Wound Vac was retrieved and the hospital was able to save $26,500. This is just one example that shows how valuable a reliable RTLS system can be if used in concert with a well-trained and motivated staff that knows how to use the system to its fullest. 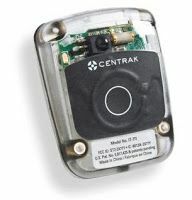 Remarkably, the CenTrak RTLS not only identifies room-level location with certainty, but assets can be reliably detected inside a Biohazard bin! VIXIA and CenTrak had partnered together to deliver a reliable asset management solution for Mission Hospital. Mission Hospital, a 552-bed facility with two campuses located in Mission Viejo and Laguna Beach, California was experiencing significant costs relating to their moveable medical equipment and its management. By employing VIXIA who deployed the CenTrak hybrid Gen2 infrared (IR) and RFID system to track the location, cleaning and maintenance of its moveable medical equipment, VIXIA delivered to Mission Hospital remarkable savings. Following the system’s installation, the equipment utilization rate for tagged items rose significantly helping the hospital to reduce rentals by $32,594 annually in its first year of operation. The rate of lost or stolen devices dropped from 13.8 percent to zero, resulting in an annual savings of over $150,000 equipment that had been lost each year prior to installing the system. In addition, the hospital was able to reduce capital purchases by another $128,000. Even though the hard savings so far have been impressive, the benefits to the hospitals nursing team and Biomedical Engineering teams may be even more important. VIXIA conducts a staff satisfaction survey every 6 months to ensure equipment is being distributed effectively. Nurse satisfaction scores rose by 54% after the first 6-months. Most importantly 66% more nurses said they felt they no longer needed to hoard equipment and 46% said they no longer have to search for equipment which on average saves about 30 minutes per shift per day per department which can mean overtime savings or other staff related cost savings of hundreds of thousands of dollars each year.